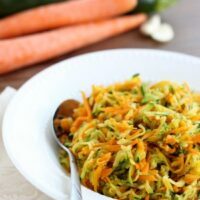 Zucchini and Carrot Hash - Dessert Now, Dinner Later! Everyone’s gardens should be bursting with zucchini right now, so you are probably trying to find ways to use it up. I love zucchini! Some of my favorite ways to use it are in these two recipes: Pesto Chicken and Summer Squash Skewers and Easy Grilled Summer Vegetables and Sausage. Both of those recipes are super easy and go great with my Garlic Parmesan Orzo. YUM! 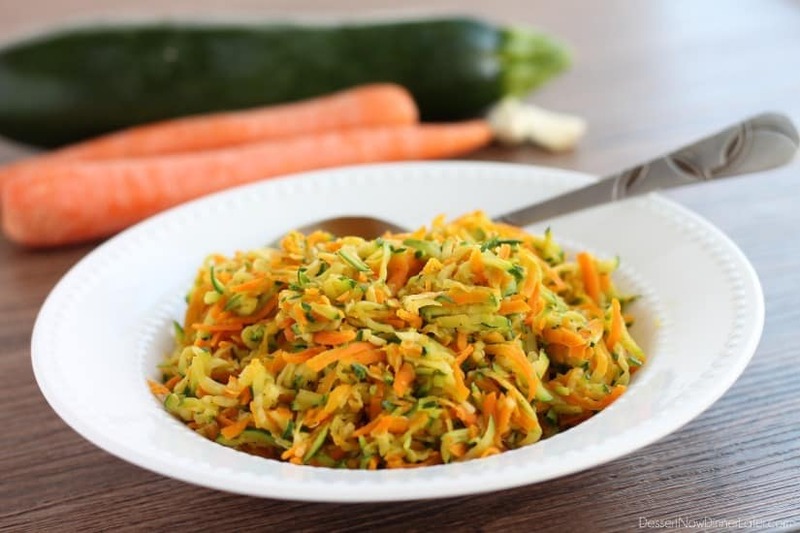 This Zucchini and Carrot Hash is a new favorite of ours! We’ve made it twice already! 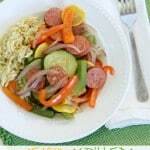 The shredded vegetables give it almost a pasta or rice texture, which makes it more desirable for my kids to eat. 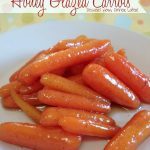 The carrots add a sweetness to it as well, so it’s not to “squash-y” (for the kids). With garlic and a little salt and pepper, you have a great side dish for any grilled meat! Side note: I’ve pretty much come to learn that garlic or garlic salt makes most vegetables tasty, if you (or your kids) are learning to like your veggies! 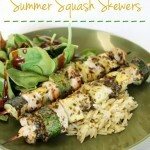 I hope you enjoy this new way to use up your zucchini squash! In a skillet, heat butter or olive oil. Add garlic and stir until fragrant, about 30 seconds. 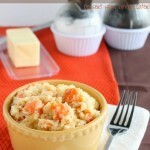 Add shredded carrots and sauté for about 2 minutes. 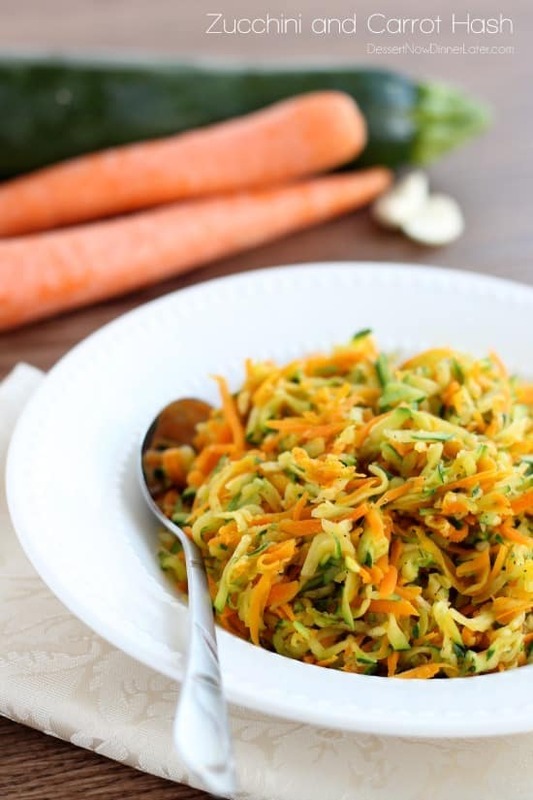 Add shredded zucchini and sauté for an additional 2 to 3 minutes or until desired tenderness. 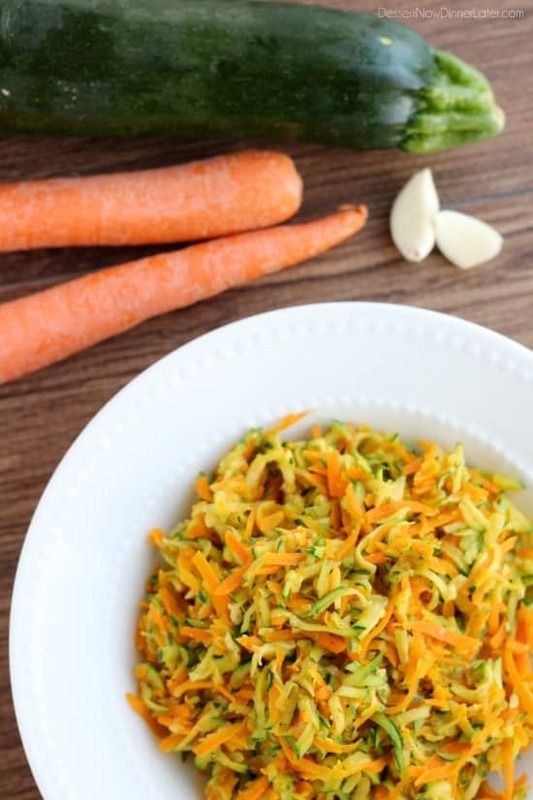 *I love using the shredding attachment on my food processor to make shredding the carrots and zucchini really fast and easy. I love zucchini season! Can’t wait to try this! This looks great. And with the colors I’ll bet even my kids would eat it! My son actually eats it okay, which is really good because my kids like raw over cooked veggies. Healthy and delicious a perfect side. We really loved this one! I could probably eat it as my main course too! Just finished making this. Love the taste! I’m adding it to farfalle tri-colored pasta for a meatless dinner. Hope it still holds its flavor. That sounds like a great idea to put pasta with the hash! Thanks for sharing your review!